Amongst the busyness of life and the deluge of information and news items that most families must sort through and absorb, it's sometimes difficult to make your own kidmin news and information noticed. Although it takes a little extra time and effort, it might be worthwhile creating an invitation that really does grab the attention. 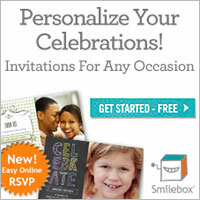 Create these invitations for your play/mother's group and decrease the chances that it will be overlooked or lost. First.. Download and pint the simple bookmark style invitation. Cut out each one and laminate. (You can add extra information to the back of the card if you wish before you laminate it.) Punch a hole at the top and thread through a short length of yarn or ribbon. Second...Download and print the baby block pattern. One side of the block provides an area to note your group's meeting day and time. Score along the dotted lines of the pattern. Next... Cut out the baby block. Smear a small amount of white PVA glue along the tabs. Glue the other end of your yarn or ribbon to one of the tabs before assembling the entire box. Fold up and glue the box. Last...Fold up and glue the box. The box should now be linked by the yarn to your laminated invitation. Download and print the baby block pattern plus the invitation file.